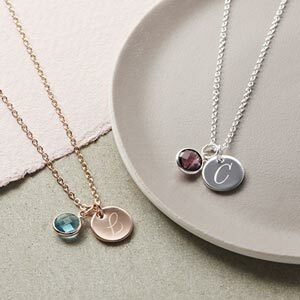 The Elyse Semi Precious Birthstone and Disc Bracelet is a beautiful contemporary birthstone on a delicate chain bracelet with an integrated personalised initial disc. The Elyse Birthstone bracelet comes in silver and includes a beautiful semi-precious stone and engraved initial. Available in silver with a choice of birthstones. 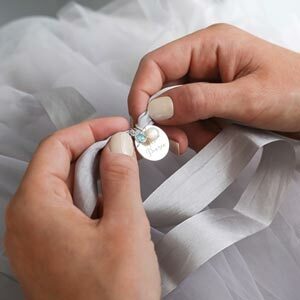 It was a wedding gift and was perfect.